Autistica is the UK’s autism research charity. We work with autistic people, families, health professionals, policymakers and researchers to ensure every autistic person has the chance of a long, happy, healthy life. We support NHS England’s intention, through the Stopping over medication of people with a learning disability, autism or both (STOMP)/Supporting Treatment and Appropriate Medication in Paediatrics (STAMP) programme, to tackle over-medication of autistic people and people with a learning disability. Medicines are an important way of addressing some mental and physical health problems but, like any treatment, they are evidenced for specific purposes and should be used appropriately. Many autistic people and people with a learning disability are prescribed drugs such as powerful anti-psychotics, even though they do not have the problems that those medications are designed to treat. Giving someone a treatment they don’t need can be a dangerous gamble with their health and quality of life. Public Health England’s recent report shows that fewer adults with a learning disability have been prescribed antipsychotic drugs since STOMP began. Although it’s early days, this may be promising and the result of a lot of hard work across the NHS. It’s also clear that results are mixed and that much more progress is needed. The rates of young autistic people being prescribed drugs like antidepressants are going up, and there isn’t enough data available about autistic adults’ care for Public Health England to analyse how many are at risk of overmedication. Many of these problems are not new. People have experienced – or seen loved ones experience inappropriate medication for years and are understandably angry that it continues to happen. It’s challenging to look past the hurt and distress that this causes. To bring about lasting change, we need to focus on finding better solutions. If a person is in distress and behaves in a way which endangers themselves or those around them, clinicians may feel under pressure to take action. Autistic people and people with a learning disability are more likely to experience mental and physical health problems and die substantially earlier than the general population. In 2016, Autistica’s partnership with the James Lind Alliance identified that autistic people, their families and health professionals ranked those two topics as top priorities for research. Despite this, there is still a lack of research into ways to support autistic people and people with a learning disability when they experience mental or physical health issues. There is even less research into what works for people who speak few or no words. Without this research, health and care professionals will continue to struggle to identify why someone who cannot easily communicate is distressed. They will continue to fail to treat the causes of that distress effectively. We need to work together to give professionals more options, which is why we’re working with them to develop new assessment tools. Autistica will also continue to invest in research around mental health, physical health and communication skills and work with NHS England to ensure that new evidence informs NHS care. I hope that other charities, funders, NHS bodies and members of the autistic and learning disability communities will join us in addressing systematic barriers to research as well as funding, supporting or informing that research too. A more research-active NHS workforce and a greater focus on autism and learning disabilities by Research Councils and the NIHR would accelerate progress and improve lives. Autistic people and people with a learning disability should have an equal opportunity to long, healthy, happy lives. This report is an important step on that journey, but we must now continue to work together with urgency to address the appalling inequalities these groups face. Since joining Autistica Dr James Cusack has led the development of a research strategy focused on outcomes, leading to their new vision, “a world where all autistic people and their families live a long, healthy, happy life”. Autistica has also sought to build involvement to every stage of their work, including the launch of Discover: the UK’s first autism research network. Since James joined Autistica they have also dramatically expanded their portfolio of world class research. He has successfully worked with funders and academics to influence research funding strategy to make sure community priorities and critical issues like early death in autism are on their agenda. 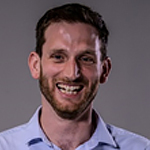 Prior to joining Autistica James undertook a PhD and postdoctoral research fellowship at the University of Aberdeen, and while in Scotland has worked in a range of different roles related to autism including the Scottish autism strategy.